IEYC Guest Blog: Learning Through Play – Sounds Like Fun! Verdala International School (VIS) has been using The International Primary Curriculum (IPC) successfully for 13 years. As our Early Childhood has expanded into a prominent feature both physically, with a building of its own and in terms of staff and students the time had come to address our Early Years Curriculum. 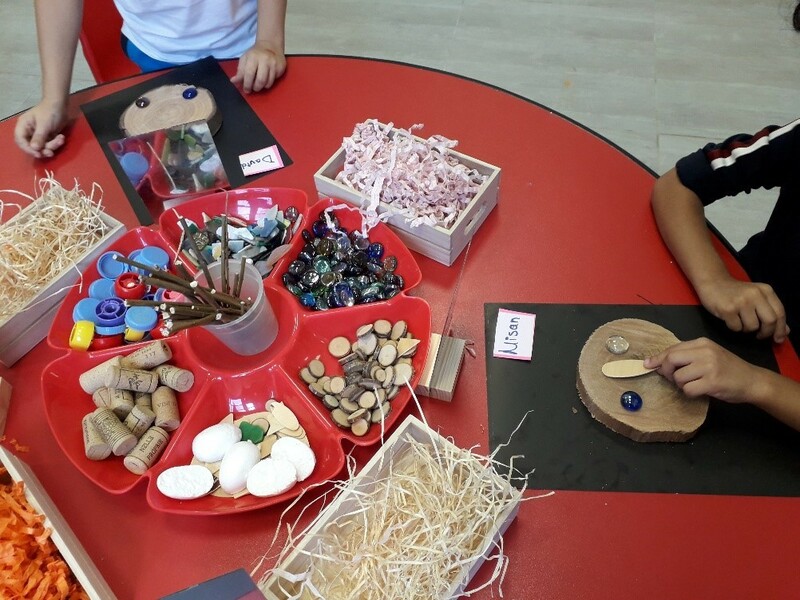 Over the last two years our Early Years teachers have been learning about the Reggio Emilia Approach, a philosophy that originated in Northern Italy and is now used in many international schools across the globe. In essence it is a way for teachers to observe what children know, are curious about and what challenges. This focus on inquiry feeds in perfectly to the IPC which is taught at VIS from Grade 1-Grade 5. Teachers keep track of the student’s curiosity and find ways to help them along this pathway that will expand their academic and social potential. With the IPC always the next step up the ladder it made sense for us as a school to make the move to The International Early Years Curriculum (IEYC), the programme aligned with the IPC, similar in philosophy however much more student led, there is a balance of child initiated play and teacher led activities. The principles behind the IEYC focus on recognising that these formative years are extremely important in setting the child on their inquiry learning journey. There is a holistic approach to the lessons, children are supported in their learning, however they also need to learn at their own pace; play is the essential aspect of that developmental process. Learning through Play – how can that happen you may ask, surely they aren’t learning if they are playing. Essentially learning should be fun, especially at that age, the aim is for the teachers to open a world of wonder which allows the child to travel along a learning journey that may be full of surprises and new ideas but also consolidate through play what they have learnt or need to learn, which enhances their sense of understanding. Learning through play means a child is creating their own play by going on an exploration of what is possible, this in turn will give the child a higher sense of self-esteem and the confidence to persist and experiment. The key element is that there is no right or wrong, play is not corrected, therefore playing makes them happy. They develop socially as they learn to play with friends, learn how to share and to ask for help. We often start from solitary play (around 0-2 years old) where the child is focused on their own world, to cooperative play where they start to depend on each other to achieve their goals. In terms of cognitive development there is a sense of liberty for the child as they can express themselves how they like but also more than often have to work something out, which is critical thinking for a 5 year old! Practising problem-solving has to start at a young age, takes a lot of practice and is certainly more fun in a play environment. 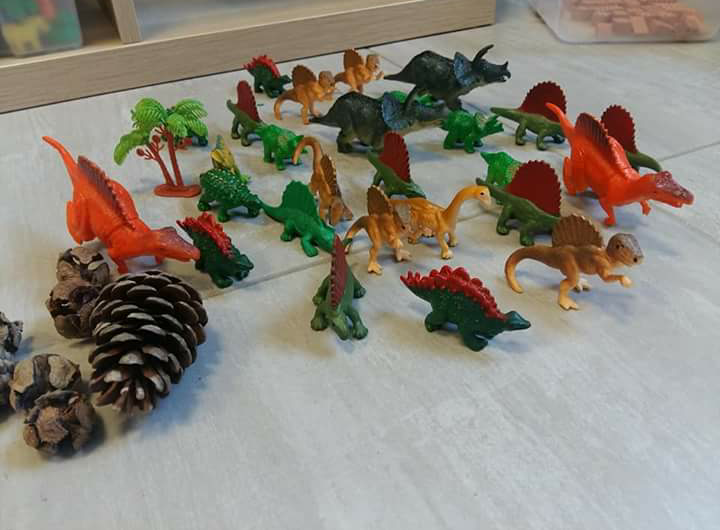 For example in Kinder Garden recently the students played with the dinosaurs, putting them in groups, however a few weeks later after some patterning exercises with the teacher the same dinosaurs came out during play and one boy said: 'This is a group with spikes and another without spikes…that’s a pattern.' Therefore the play had consolidated the learning. In the IEYC like the IPC & International Middel Years Curriculum (IMYC) there is an entry point to every unit. During this exercise the teacher observes and talks to the children to capture their curiosity. An example of this was in Pre-K1 , who were learning about the body by tracing the outline of one of the kids. The teacher noted down what they already knew and what they were keen to find out. The children were provided with different cards of different body parts and thought about where the parts would be on the body. They also went to visit the nurse. During their visit the students learnt how to wash their hands and the nurse also spoke about different scenarios…what would she do if a child bumped his/her head? Talking about various body parts can lead into a creative activity as well, whilst discussing about different aspects of the face the students were provided with loose parts and mirrors to create their own portraits. Then they traced their faces using fine motor skills such as holding a pencil, space awareness. Enquiry can go in many directions, the children linked it to the eyes which led to a discussion about different eye colours and a pictograph in Maths. Personal development is another key area within the IEYC and can also be enhanced through a line of enquiry. The Pre- K1 students were exploring feelings, each feeling was drawn in a different shape and had a different colour, therefore Maths is incorporated into the journey. Four special guests (puppet feelings) were invited to a tea party. After the four feelings were introduced, the children had the opportunity to include the puppets in their own tea party and have a chat about how their own feelings. The children then had the opportunity to create their own puppets from different art materials which were displayed in class. These are just a handful of examples from a vast range of how teachers can take students along an inquiry journey that inspires the young students to ask questions and explore different options. The IEYC aims to offer a range of units that captures the curiosity of a child between the entry and exit points and it is the teacher’s job to find out what children already know about a theme and what they are curious to learn. Incorporating all of this into their environment is also an essential element of the IEYC, creating areas for role-play, a small world area or art area in the classroom environment sets the scene for an adventure of inquiry. All of this allows the teachers to support child-initiated and personalised learning such as through one to one discussions, drawings or circle-time. The great educationist Jean Piaget famously said "Children have real understanding only of that which they invent themselves" So next time you see a young child create a little area out of a pile of rocks, making incomprehensible sounds and probably making what looks like a mess to you, remember that in their universe this is probably a perfectly acceptable Golden Bay with boats floating around and sharks looming in the side-lines.